• 2x Rice Pilaf: Rice, pasta, herbs and seasoning. 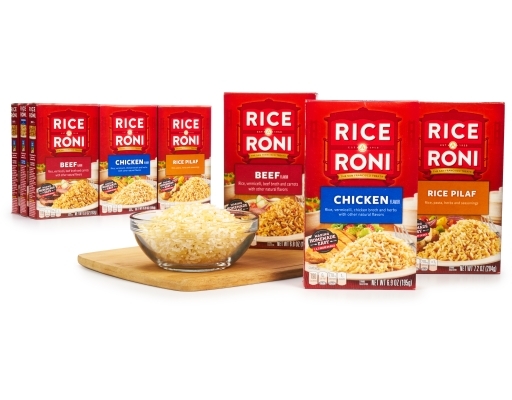 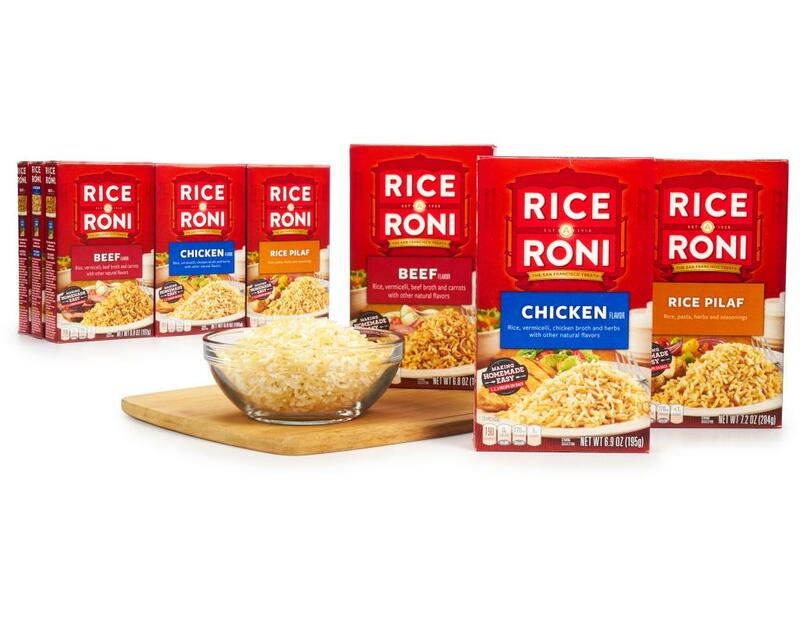 Rice-A-Roni's rice and pasta blend seasoned with spices pairs perfectly with your family’s favorite go-to dinner. 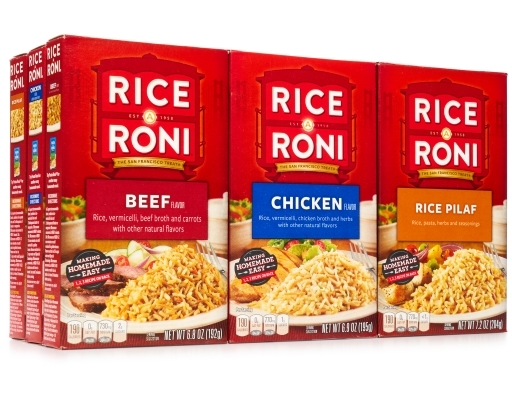 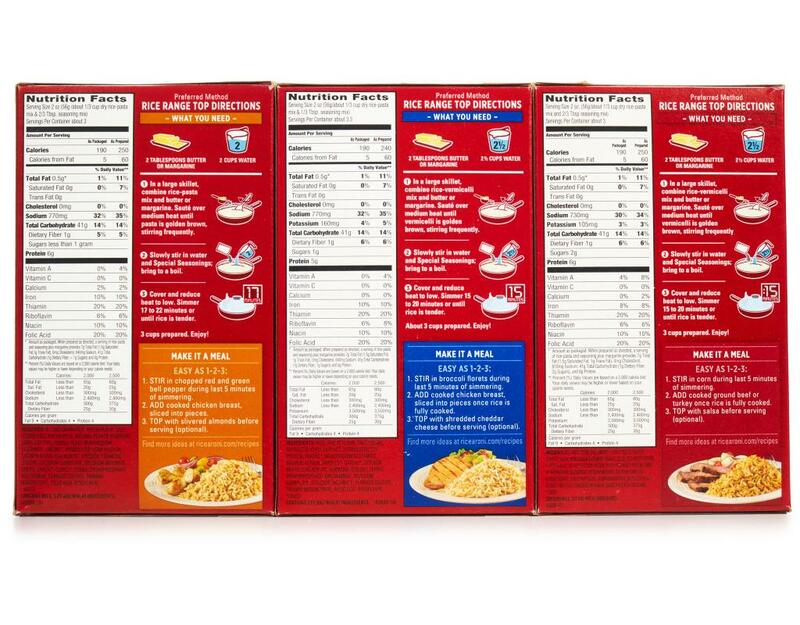 • 4x Chicken Flavor: Rice, vermicelli, chicken broth and herbs with other natural flavors. 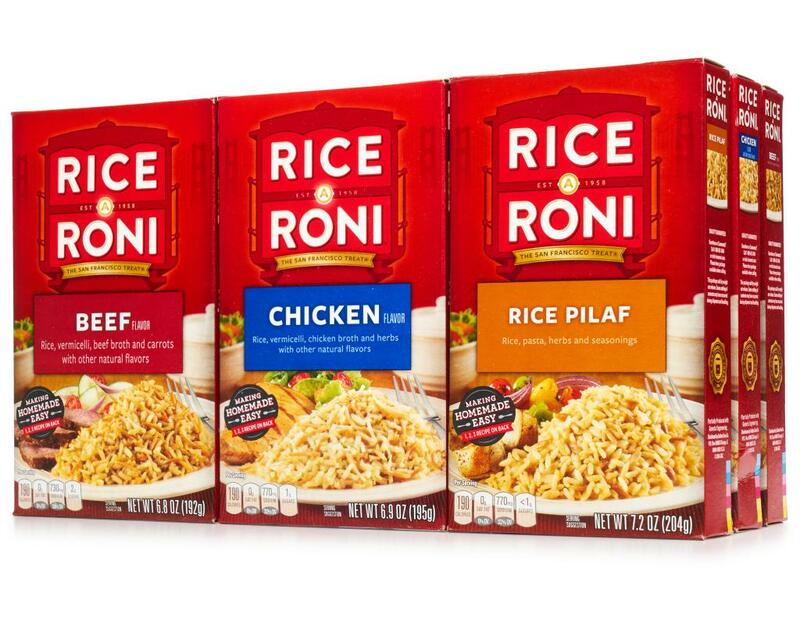 Your family will fly to the table for the great taste of rice and vermicelli blended with onions, parsley, garlic and chicken broth! 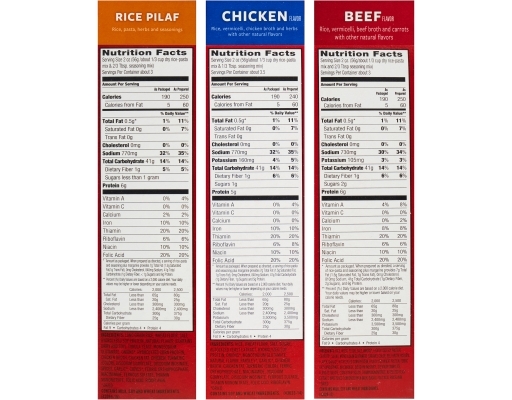 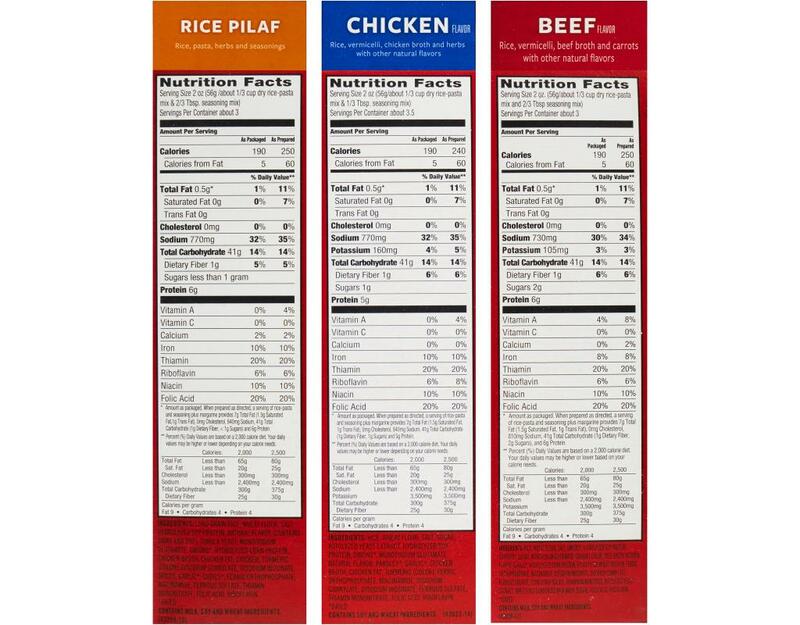 • 4x Beef Flavor: Rice, vermicelli, beef broth and carrots with other natural flavors. 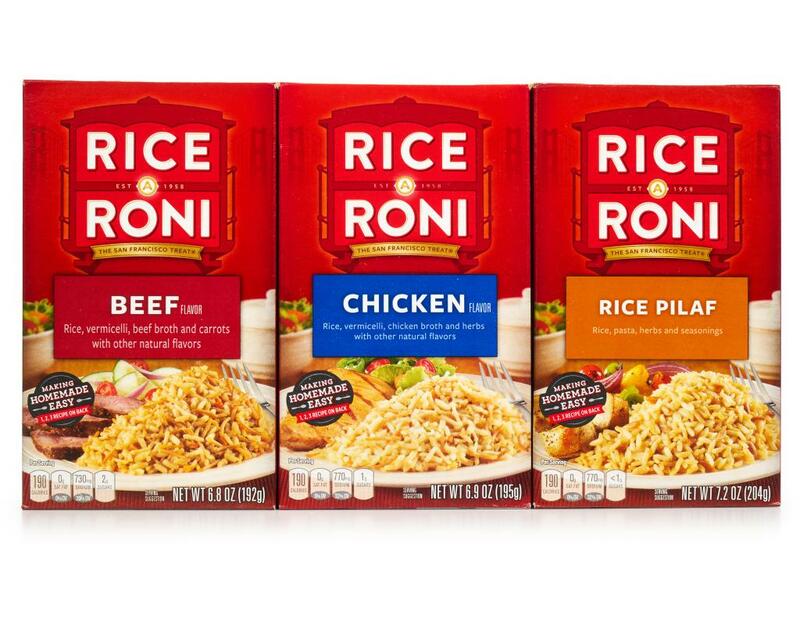 Prepare for a stampede to the dinner table when you serve our delicious rice and vermicelli blended with the savory flavors of onions, carrots, beef broth and garlic!